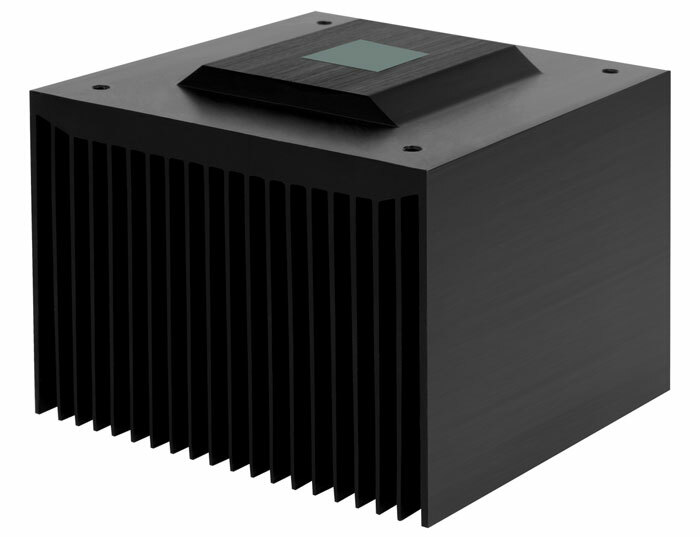 Quiet cooling specialist Arctic has revealed a new passive CPU cooler for Intel CPUs. 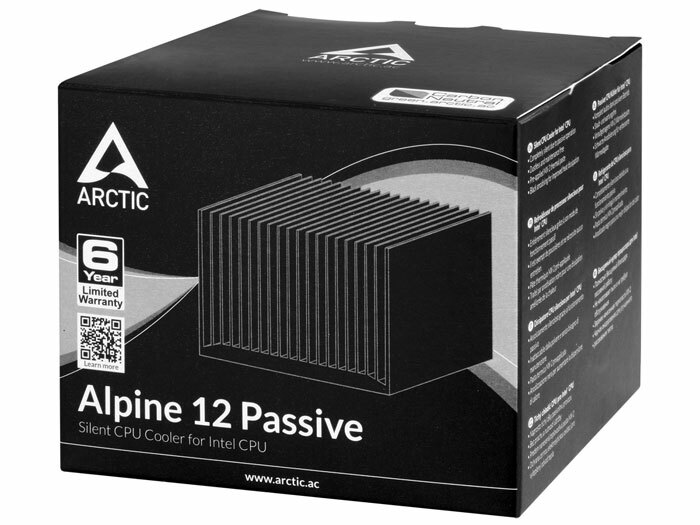 The new Arctic Alpine 12 Passive is an improved version of the best selling Alpine 11 Passive and will exclusively fit on CPUs in the Intel LGA115x socket. It can effectively cool CPUs of up to 47 watts, says Arctic. Looking back to January 2016, HEXUS covered the launch of the Arctic Alpine 11 Passive. If you think the new one looks the same but in black, you have basically nailed the key upgrade between version 11 and 12 of this passive cooler. However, the reason the colour change is an 'upgrade' is a little bit more techy than immediately evident. Arctic claims that the black anodising process has improved the heat dissipation of this product. 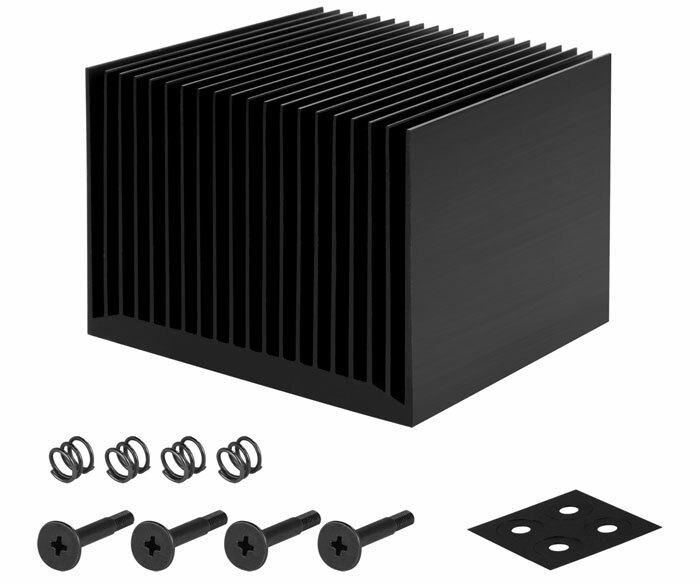 "The micro-porosity resulting from the heatsink surface treatment optimises the heat exchange between the aluminium and the surrounding air, thus the cooling performance in passive mode is greatly improved," it writes on the official product page. Helping you get started with the Arctic Alpine 12 Passive straight from the box, the cooler features pre-applied MX-2 thermal compound. Furthermore, the mounting system is claimed to be "fast and easy and extremely reliable" - as well as being transport safe. The Arctic Alpine 12 Passive Intel CPU cooler measures 95 x 95 x 69mm and weighs 567g. The necessary 4x screws, springs and washers required for fitting to an Intel LGA115x socket are supplied. This new anodised product is priced at the same reasonable US/EU 12 as the Arctic Alpine 11 Passive. Buyers get a six year warranty. A TDP of 47 watts you say, I personally wouldn't put that anywhere near anything beyond 35 in all honesty, but it's still a great idea for a little quiet build!